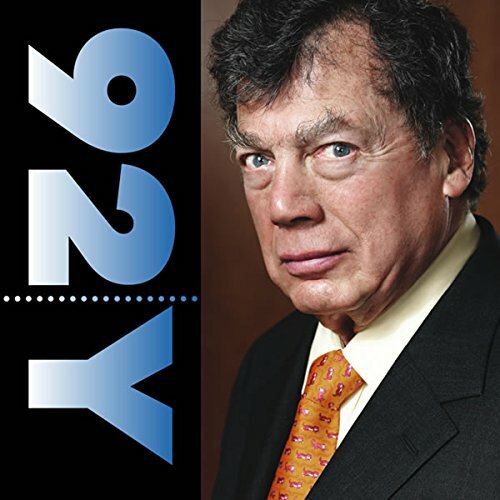 Continuing with their excellent tradition of showcasing some of the most inspiring minds in contemporary culture, Live at the 92nd Street Y hosts Edgar M. Bronfman and Charlie Rose for a night of candid conversation about Judaism in America. Bronfman, an author and leading Jewish philanthropists, talks with the indefatigable Rose about everything from his incredible career to his hopes for the future of Jews in America. Listen along as the two talented men discuss with a charming frankness some of the more important ideas concerning contemporary Judaism. Join the Emmy winning journalist Charlie Rose and the leading man of Jewish philanthropy in a candid conversation about reinvigorating Judaism in America. Edgar M. Bronfman discusses his life, remarkable career, and his vision for the future of Jews in America. Bronfman is the author of Hope, Not Fear: A Path to Jewish Renaissance. Rose has been praised as "one of America's premier interviewers". He is the host of Charlie Rose, a nightly PBS program that engages America's best politicians, entertainers, and other newsmakers.